Don’t worry, fellas – I’m not about to wax lyrical about love, romance and the future Mrs Man vs World. Trust me, that would be just as awkward for me to write as it would be for you to read. 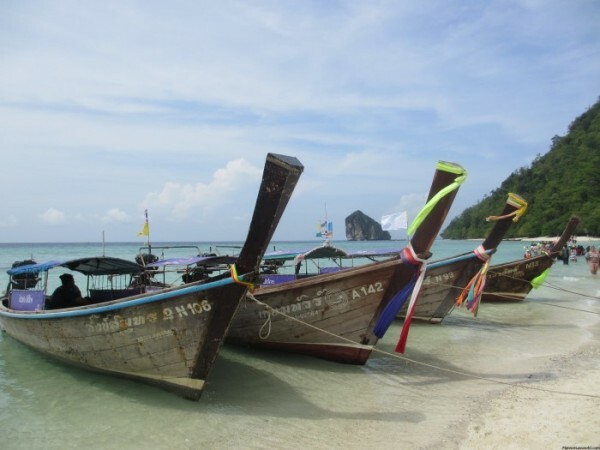 Instead, I’m seeking to chronicle the start of a new and exciting chapter in my life, a wonderful bookend to my adventures backpacking through South East Asia. 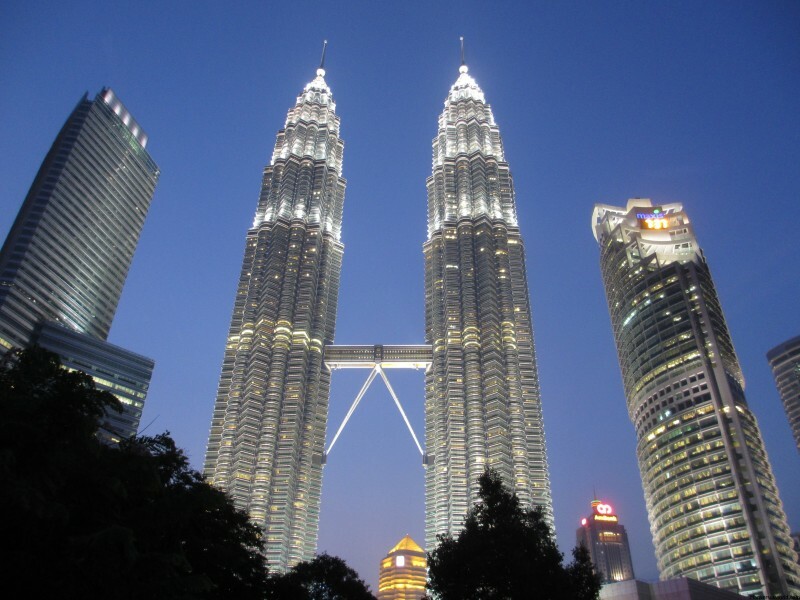 It all started in the Malaysian capital, Kuala Lumpur, where I purchased an engagement ring from Tiffany & Co. The women reading this (hi Mum!) will know of it but the guys may not, so allow me to enlighten you, fellas: it aint your standard jewellery shop. Think premium luxury jewellery with prices to match. An international jewellery chain that’s far too fancy for its own good. Needless to say, I felt like an idiot walking into Tiffany’s at Suria KLCC, the mall at the base of the Petronas Towers, in my jandals (flip-flops). Having made my once-in-a-lifetime purchase of a diamond ring, I was not about to hang around with a giant green Tiffany bag waiting to be mugged; I caught a taxi immediately back to our cheap-and-cheerful hotel in China Town. Thankfully, this was the first and only time that a taxi driver in Malaysia did not try to rip me off. The plan, at least initially, was to propose to Nicola in Paris in a few months’ time. Too clichéd? That’s the conclusion I eventually came to as I lay sleepless in bed that night. Nope, I’m far too paranoid when I’m on the road to leave a diamond ring in my backpack for too long – besides, I wouldn’t be able to wait that long. I love surprises. 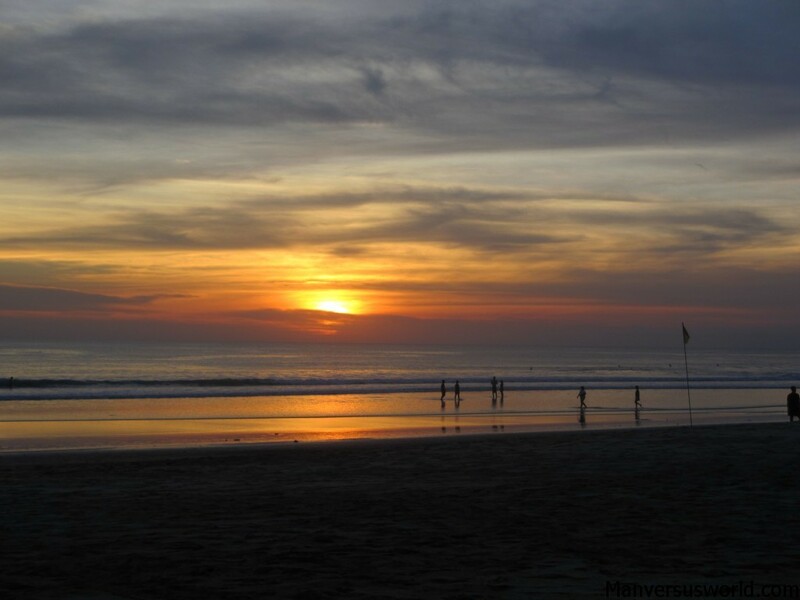 It had to be Kuala Lumpur, Melaka (our next stop) or Bali in a week’s time. It simply had to be the latter. After a couple of days in Melaka – a brilliant little city that I’ll write more about in the future – we were at KL International Airport, waiting to board our flight to Indonesia and I would not take my day-pack off, not even for a second. Can you imagine how different this story would have been if I’d lost the ring so close to the finish line? The place was here; the time was now. 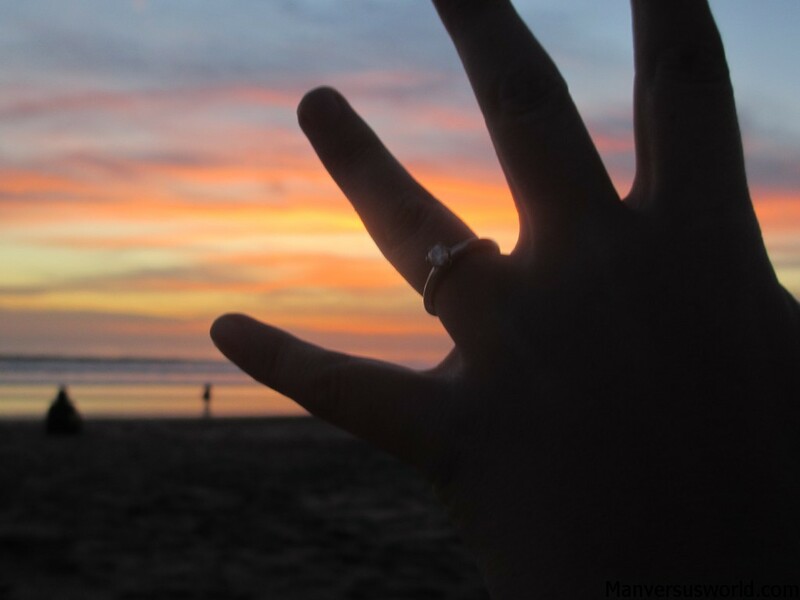 An hour before sunset on our first proper day in Bali, I hatched my plan: pocket the ring, drag Nic to Kuta Beach and, when the time was right, get down on one knee. Like me, it was simple but effective – or so I hoped. I saw some kids with bracelets racing across the sand towards us. Bugger. I really should have had a couple of stiff drinks beforehand. A shadow moved in behind us as Nic’s eyes darted over my shoulder. A woman holding an infant stood before us begging for change. Seriously?! We got rid of her with the use of a few, shall we say, choice words and we were left to ourselves. Nic, always the brains behind the operation who actually plans our travels, immediately started to spit-ball ideas for our honeymoon. 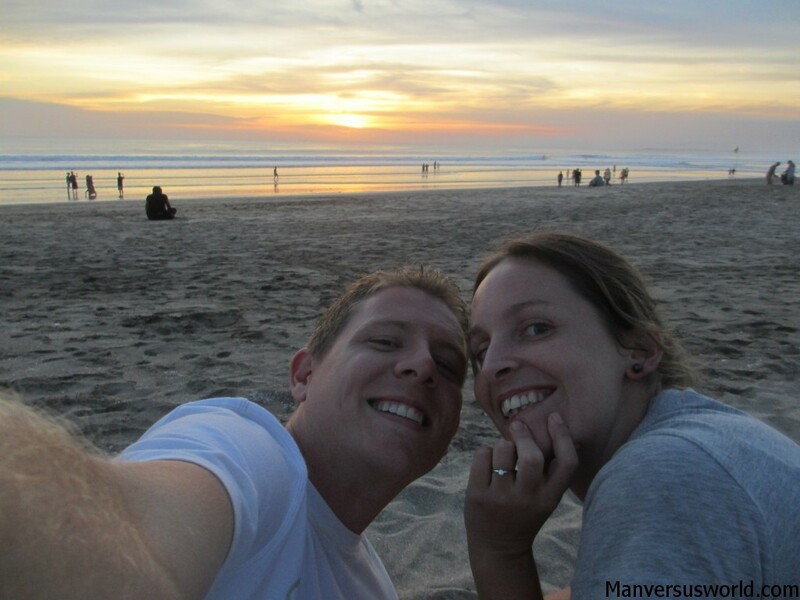 There we were, two young travellers on the beach in Bali, engaged to be married and already planning the honeymoon. They lived happily ever after (too much?). It was amazing. We also visited Ubud and the Gili Islands; I’d like to spend a bit more time there next time and get out to Lombok in particular! Sounds like a beautiful proposal! Even with the children trying to sell you bracelets and the woman interrupting… 🙂 Congratulations to you both! Congratulations mate! that sounds awesome! I wish you all the best for the future and safe travels! Congratulations to you both! I would have been pretty stressed out avoiding the hawkers on the beach, sounds like you handled it well. It’ll be a great story for the rest of your lives. Good luck! Maybe it’s a good thing we didn’t catch up because I wouldn’t have been able to keep it a secret! Thanks Gemma! And I still need to blog about our trip to Halong Bay – say hey to Milo for us! Congratulations!! I got engaged a couple weeks ago in Paris (note: Paris is never too cliché!) and was just yesterday researching wedding resorts in Bali, haha. That sunset is gorgeous, btw, congrats again! My fiancé has just told me that you’re right, Paris is never too cliché! And congrats to you too! Haha, wicked story! 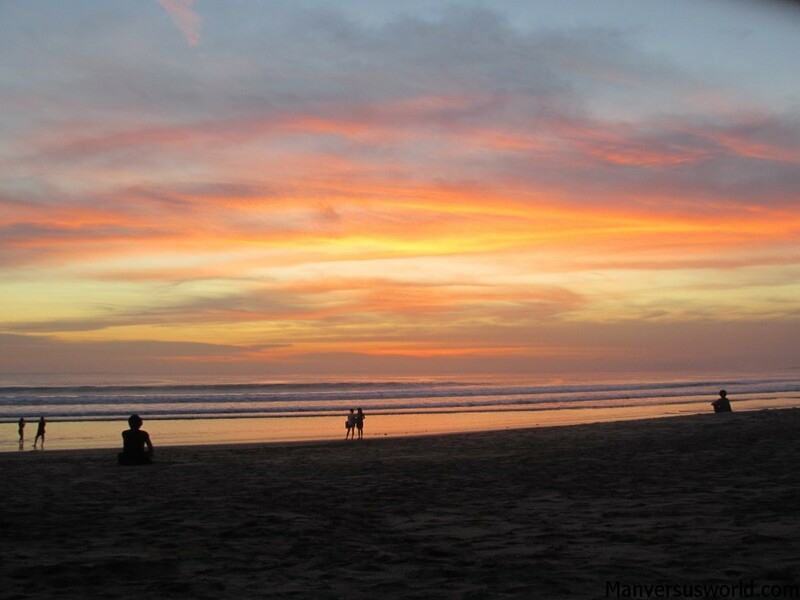 Some might say that a beach in Bali is enough of a honeymoon! Congratulations guys! The ring/sunset/everything – perfect! So romantic, hope you both have a wonderful life together, sound like the perfect couple! Was a lovely story of your proposal! I can only imagine how stressful it would be to carry a diamond ring around travelling – plus all the possible moments where the surprise could be revealed!!!! Congrats to you both – what a lovely setting to pop the question! I LOVE that honeymoon destinations was the ensuing conversation!!! Travel bug is never quelled! !